The iPad and iPhone have always been great for reading PDFs, and lately Apple has added more tools for annotating them. Yet, there are third-party alternatives that are so exceptionally good that you need them whenever you're working with PDFs. As much as we fail to give Apple's free Preview app enough respect, it is true that there are PDF editing jobs it can't do. Yet there are many third-party apps that will let you do the most remarkable changes to any PDF you have. You've been able to make a PDF out of any document on Macs for years. We take it so much for granted, though, that we don't know what extra options we've got -- nor noticed how Apple is trying to change the way we're supposed to make PDFs. AppleInsider walks you through making a PDF, with only the tools that come with macOS. You've got the hardware to record your new podcast but now you need software to do the actual recording and then especially to do the editing. AppleInsider details what you need. A professional photographer and long-time Premiere Pro user claims that after an update the software deleted files including non-Adobe ones. He doesn't want your sympathy, but he does want a $5 million class action lawsuit and trial by jury to blame Adobe for the problem, rather than pointing the finger at not having a reliable backup. 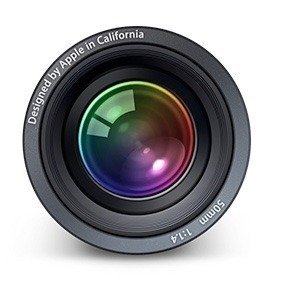 On October 19, 2005, Apple released a new tool for professional photographers. It promised much, it ultimately delivered a great deal, and it has fans to this day. AppleInsider talks about the major Apple app that the company killed. Apple marketing head Phil Schiller made an unannounced appearance at Adobe's MAX conference on Monday, bragging about the upcoming Photoshop CC for iPad, as well as the companies' ongoing collaboration -- particularly as it involves the iPad Pro. Adobe unleashed a slew of new software at its MAX 2018 conference on Monday, including cross-platform video editing tool Premiere Rush CC and updates to existing Creative Cloud apps, while announcing a 2019 launch date for a much-rumored iPad version of Photoshop CC. Adobe on Thursday released Photoshop Elements 2019 and Premiere Elements 2019, the latest installments of the company's popular consumer-oriented photo and video editing tools.